As we evolved, so did our service offerings. So much so that now, in our 7th year of business, we determined it was time to rebrand to ensure that our identity reflects our company culture and the services we provide to our clients. Providing an optimal approach and uniquely layered services that include consulting, development and construction, allows us to put our mission into action as we serve as a trusted partner to our clients. We are pleased to share with you that we’ve taken an exciting step for our company. 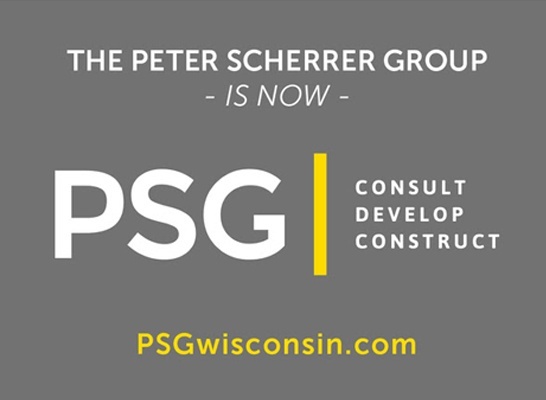 We have just completed the process of rebranding, and would like you to be the first to become familiar with our new name, PSG, and refreshed website, www.PSGwisconsin.com. Please be assured that our name change will not have an effect on any rights or obligations in all existing relationships with third parties. Our accounting department will follow up to provide new W9s or other pertinent documentation to those who require it. This is an exciting time for PSG. The rebranding effort enhances the business model we have built and grown. We believe we are unique in our approach and highly adaptable to the needs of our clients. Experience the difference of working with PSG.